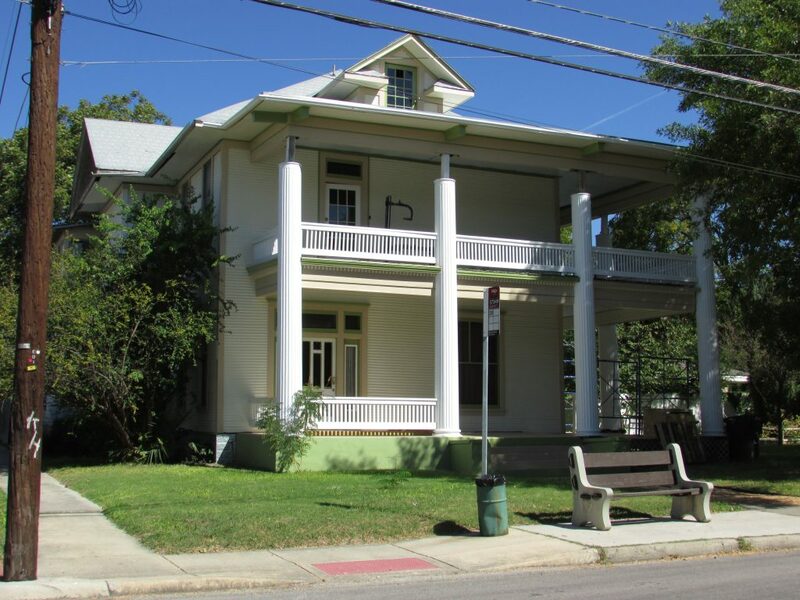 From time-to-time the San Antonio Conservation Society Foundation accepts facade easements as a means of insuring the preservation of historic structures. The Foundation currently holds fourteen facade easements and the permanent loan of a historic sign. Use the buttons below to browse their histories. The acequias served as the Spanish colonial water system. The missionaries and mission Indians built these ditches to supply nearby missions with drinking and irrigation water diverted from the San Antonio River. In 1957, the river channel was being reconfigured for flood control. At this time, the San Antonio Conservation Society purchased 25 acres of pecan grove south of Loop 13, between the east channel line of the San Antonio River and the west bank of the San Juan Acequia. The Society’s purchase preserved the site’s natural beauty by preventing commercial development of the land. A year later, circumstances forced the Society, along with other landowners, to file a lawsuit against the San Antonio River Authority over water rights and water flow into the acequias. The suit was eventually won in 1962, resulting in a restructuring of the flood gates and providing gravity flow into the San Juan Acequia. On October 25, 1975, the Society’s Foundation deeded the site to the City of San Antonio for use as a park. This gift coincided with the award of a Bureau of Outdoor Recreation grant. 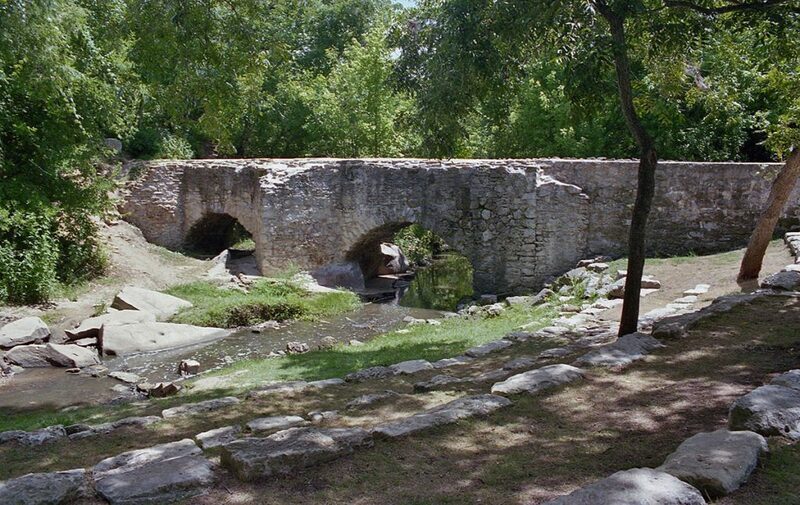 Acequia Park was transferred to the National Park Service for inclusion in the San Antonio Missions National Historic Park on February 20, 1983. This land is now part of the San Antonio Missions World Heritage Site. 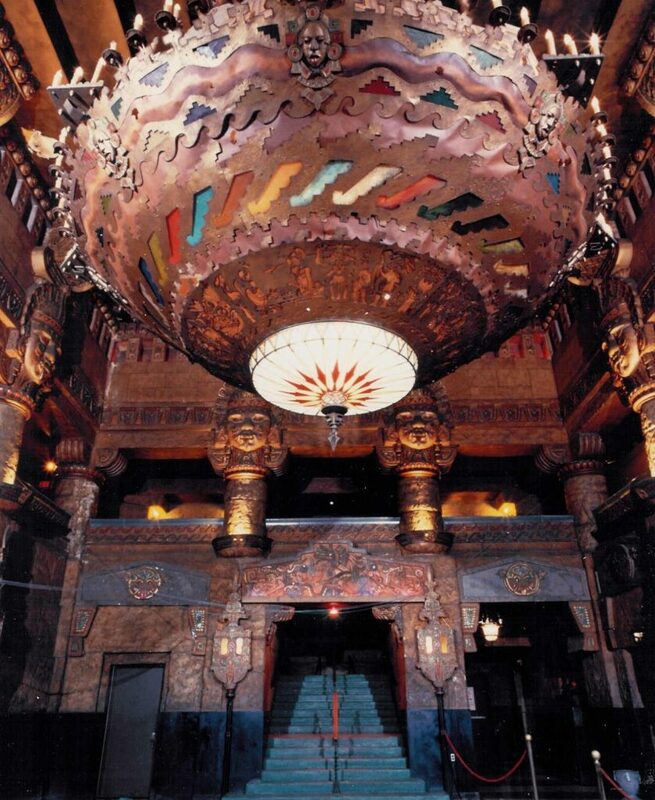 Built in 1926, the Aztec Theater is a notable example of the impressive exotic-theme motion picture palaces constructed in the United States during the economic boom of the 1920s. Designed by San Antonians Robert Kelly and R.O. Koenig, the theater is housed in a six-story office building. The interior of the theater is embellished with fixtures, furnishings, relief carvings, sculpture, plaques, painted symbols and architectural elements inspired by the Aztec, Mixtec, Zapotec, Toltec, and Mayan cultures. In the 1970s, the Aztec was divided into a three-screen theater. The Society purchased the Aztec in 1988 with nearly all the original fabric intact, saving the building from possible demolition. The Society also purchased the assets of the theater and continued to operate the theater until 1989. In 1992, the Aztec was listed on the National Register of Historic Places as the only surviving example of a Mayan Revival style theater in Texas, as well as one of the few examples of the style remaining in the nation. In August 1993, the Society sold the Aztec Building, with preservation covenants. Baron Theodore Bracht purchased the building in 1998 and completed a $20 million restoration of the building in 2006. It now operates as a live entertainment venue. The Society purchased this Neoclassical Revival house, located in the Government Hill Historic District, as a revolving fund property in 1998. A year later, the Society sold the house to an individual who rehabilitated it for use as a residence in accordance with the Society’s covenants. The Franciscan missionaries from Mission San Francisco de la Espada directed the construction of the aqueduct between 1731 and 1745. When finished, the Espada aqueduct carried the waters of the mission’s acequia across the top of two limestone arches spanning Piedras Creek, providing irrigation for surrounding farmlands. The Conservation Society purchased a 1.5-acre strip of land along the north boundary of the Espada Aqueduct in April 1937. In September 1978, the Society deeded the property to the San Antonio River Authority to facilitate the construction of the flood control bypass of Piedras Creek. Work on the flood control project began in July of 1979, and was completed in May of 1981. As a result of this project, periodic flooding of the creek no longer threatened the aqueduct. The United States Department of the Interior designated the Espada Aqueduct a National Historic Landmark on October 15, 1966. 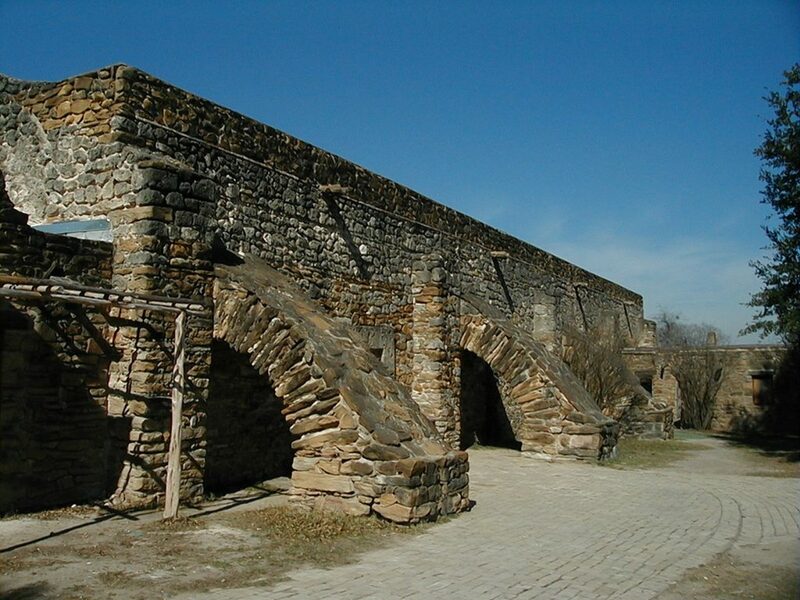 The Society transferred its ownership of the aqueduct property to the National Park Service for inclusion in the San Antonio Missions National Historical Park on February 20, 1983. Today, the aqueduct is the only structure of its kind remaining in the United States. This two-story limestone house was constructed around 1882 by the owner, Johann Heidgen, a stonemason by trade. The house stands on the eastern edge of the central business district in an area once known as the Irish Flats neighborhood. This neighborhood was originally settled by Irish and German immigrants. A side gallery with an exterior stairway spans the front of the house. This house is one of the few surviving examples of a two-story, stone, I-plan house. 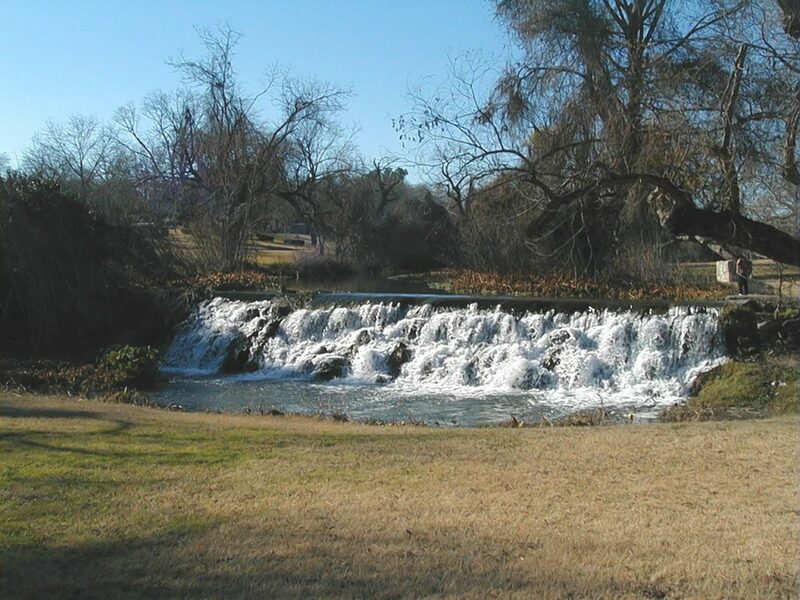 The Acequia Madre, the first irrigation canal built by the Spanish to supply water to Mission San Antonio de Valero (now the Alamo), runs along the west property line. Charles A. Zilker acquired the property in 1909. 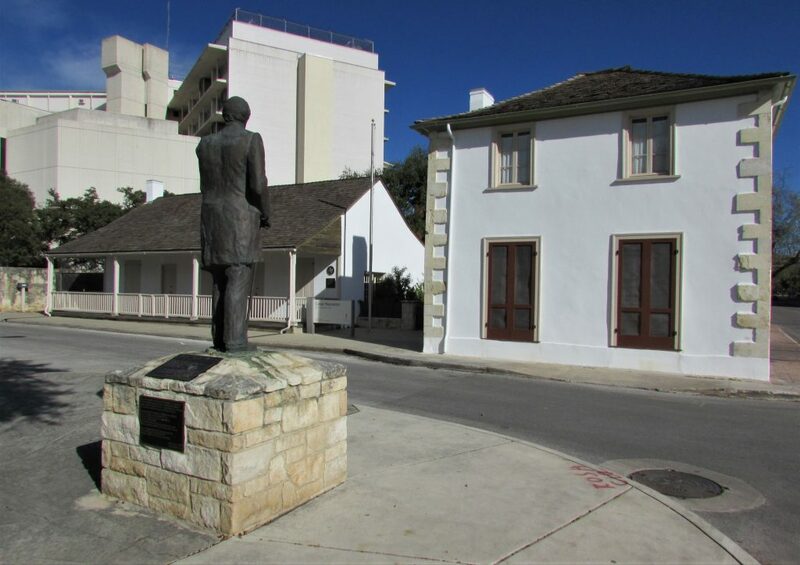 His estate donated the house to the San Antonio Conservation Society Foundation in 1968. 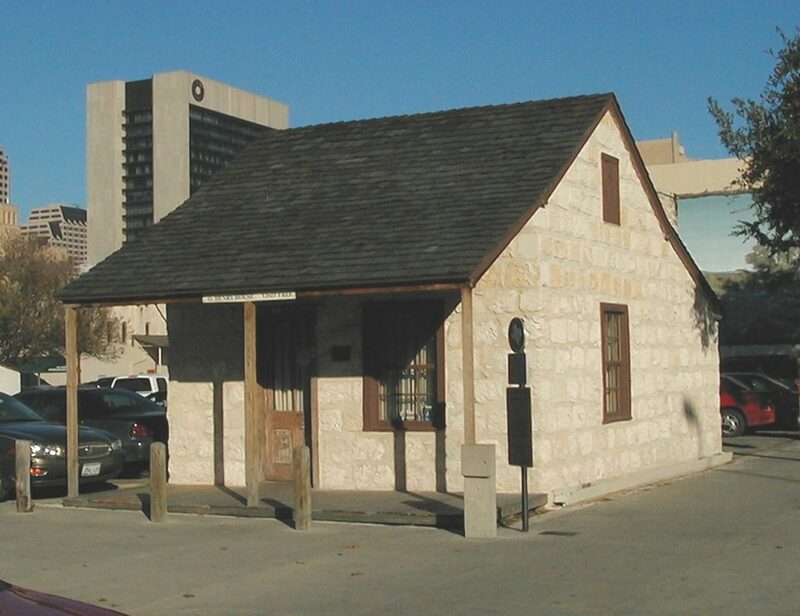 In 1970, the Society deeded the property to the Alamo Council of Campfire Girls, Inc. for use as their headquarters. The deed included a preservation easement on the house and the acequia, binding on all successive owners. When the local council disbanded in 1987, it conveyed the property back to the Foundation, which sold it to new owners. The Heidgen-Zilker House received listing on the National Register of Historic Places in June 2004. The historic Jose Antonio Navarro complex had been endangered by urban renewal until the Society purchased it in February of 1960. Restoration of the site’s three buildings, built c. 1850 for the famed Texas patriot and signer of the Texas Declaration of Independence, was started in 1962 under the direction of Brooks Martin, A.I.A. The buildings’ appearance had been previously documented in 1936 by the Historic American Buildings Survey. The main house, which is a one-story, limestone and adobe structure with an attic, serves as a fine example of Texas domestic architecture. The two-story store and law office building features bold quoins. The detached kitchen, built from adobe and caliche block, typifies early Texas architecture with its front and rear porches. In 1975, the Conservation Society deeded the Navarro complex to the Texas Parks and Wildlife Department, three years after the restored site had been listed on the National Register of Historic Places. On January 1, 2008, the State transferred operational control of this site to the Texas Historical Commission. The National Parks Service recognized the exceptional significance of this property to the heritage of the United States by granting it National Historic Landmark status on January 11, 2017. Watch this video to learn more about Navarro’s contributions to Texas history and to see his historic home! The Conservation Society purchased the home of noted author William Sidney Porter, or “O. Henry,” in 1959. The sale price of one dollar included responsibility for moving the adobe house from its site at 904 South Presa Street within 60 days to save the building from demolition. Although the Society considered many sites (including adjacent to the German English School and next to the Eager House), the Society selected the grounds of the Lone Star Brewery. 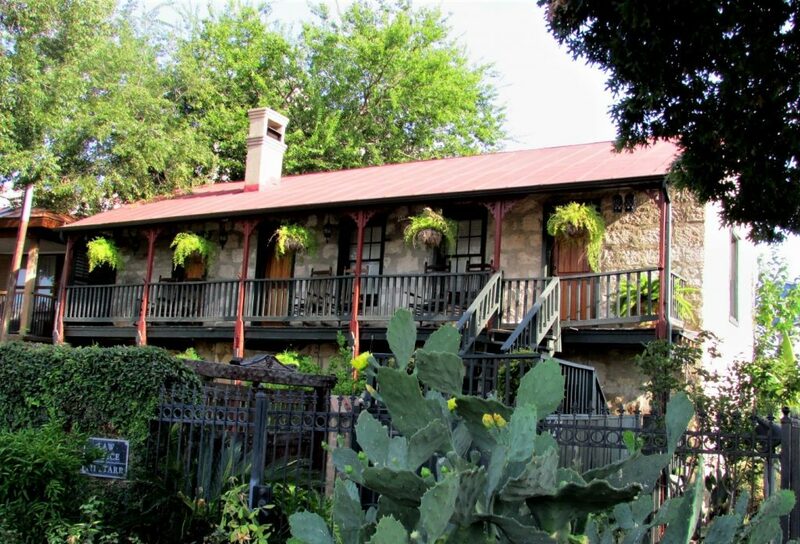 In 1960, the Lone Star Brewery purchased the O. Henry House from the Conservation Society for one dollar. Mary Friedrich Rogers and her husband, Wallace Rogers, later purchased the house as a part of the Buckhorn Museum collection when the brewery closed in 1997. The following year, David Carter and MLP Partnership bought the O. Henry House. The historic structure was relocated from the old Lone Star Brewing Company site to the corner of Laredo and Dolorosa. In May of 1999, the restored O. Henry House reopened to the public as a museum. This building, designed by “skyscraper architects” Sanguinet and Staats of Fort Worth, ranked as the tallest in San Antonio when constructed in 1913. It housed Wolff and Marx, a popular local department store until 1965. In 1981, the San Antonio Conservation Society entered into a lengthy series of negotiations with Frost National Bank to save the building from demolition. The Society purchased the building in 1981 and sold it the same year to Randstone Ventures for restoration and preservation. Today, the Rand Building provides offices with an adjacent parking structure. Preservation of the Spanish Colonial Missions has always been a prime objective of the San Antonio Conservation Society. In 1926, the Society purchased two doors from the San Jose Mission granary in order to keep the bronze nail head medallions from being sold to tourists. Built c. 1726, the barrel-vaulted granary with flying buttresses had fallen into disrepair after its last use as a residence in the 1890s. The Society finalized the purchase the granary and all other private land surrounding Mission San Jose in 1931, securing the future for some of the oldest buildings in Texas. Restoration of the granary began in 1933 utilizing WPA workers under the direction of architect Harvey P. Smith and materials furnished by the Society. Antiquarian Ernst Schuchard also assisted the Society with the project, which was completed in 1936. The Society’s successful purchase and restoration of the granary sparked the subsequent restoration of the partially ruined church at Mission San Jose and the reconstruction of the walls surrounding the mission compound. The latter projects represented a collaborative effort with the Catholic Church, Bexar County, and the Texas Highway Department. In 1941, the Society deeded its property at Mission San Jose to the State of Texas. That same year, the San Jose Mission complex was officially named a National Historic Site; the first in Texas. The state transferred its ownership of Mission San Jose to the National Park Service for inclusion in the San Antonio Missions National Historical Park on February 20, 1983. In 2015, Mission San Jose, together with San Antonio’s four other Spanish colonial missions, achieved designation as a World Heritage Site. In 1847, the sisters of the Ursuline Order of New Orleans established the Ursuline Academy for the education of young girls in Galveston, Texas. Based on the success of this school, the Bishop of New Orleans directed the sisters to open a second school in San Antonio. The bishop purchased land for the school along the banks of the San Antonio River in 1848. French architect Francois Giraud supervised the construction of the majority of Academy buildings, which were built between 1851 and 1882. The earliest academy building, made from local clay using a technique known as rammed earth or pisé de terre, was built by fellow-Frenchman Jules Poinsard. Later buildings made from native limestone reflected the late Gothic Revival style. In 1965, the Ursuline Academy moved to a new site and the San Antonio Conservation Society purchased a portion of the property, including part of the first academy building, the chapel, an adjoining section of the dormitory, and the priest’s house, saving them all from demolition. The Ursuline Academy was documented with measured drawings and photographs as part of the Historic American Buildings Survey in 1968 and listed on the National Register of Historic Places in November of 1969. 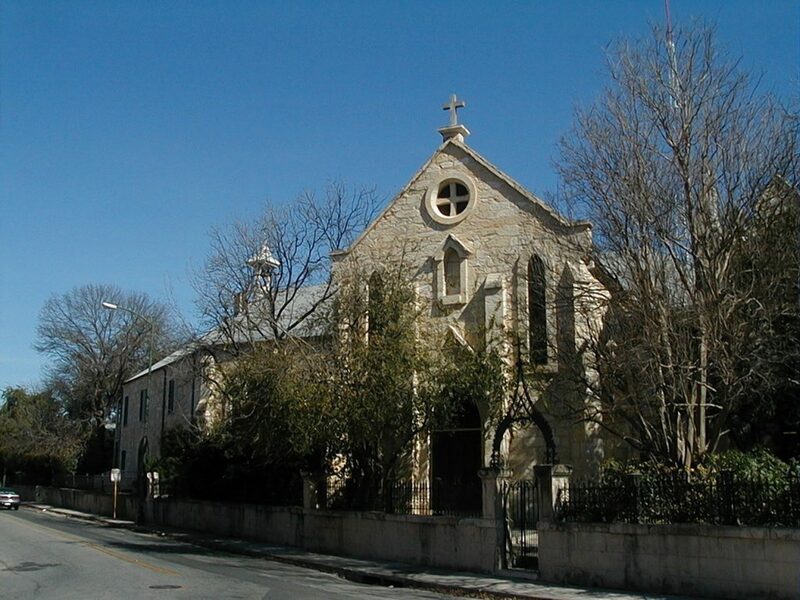 The San Antonio Conservation Society Foundation purchased the entirety of the first academy building, the first academy addition, and the small building that had been the first chapel in 1971. Restoration of the facades of four buildings in the complex began in 1974 thanks to a grant from the Economic Development Administration. This grant was matched by funds from the Foundation and was the first time that federal grant funds were used for restoration purposes in the United States. In 1975, the Foundation sold the buildings in the Ursuline complex to the Southwest Craft Center, which continued to restore and adapt the Ursuline buildings for its use. The center evolved into a nationally-recognized leader in arts education, now known as the Southwest School of Art. Visitors are welcome to tour the property. August Staacke came to San Antonio from Germany in 1848 and began a general merchandising store, which also sold carriages and wagons. In 1868, he acquired the land where the “Old Adobe,” or original First Presbyterian Church, had once stood on East Commerce Street. His three sons took over his carriage business, which became known as Staacke Brothers, in 1889. They hired prominent San Antonio architect James Riely Gordon to design their Commerce Street store, which was completed in 1894. 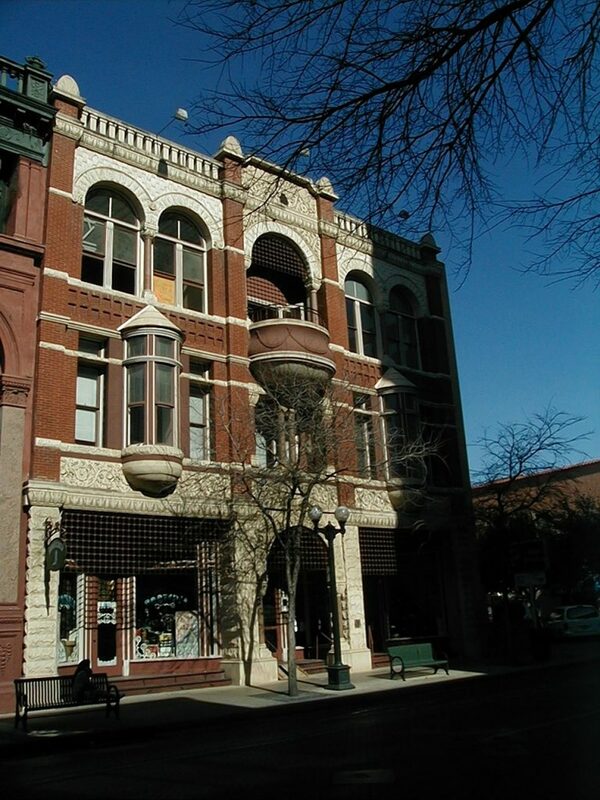 The Staacke Building is a three-story, Renaissance Revival building with a stamped metal façade and cornice. Two-story arches with granite Corinthian columns and inset bowed windows on the top floor are outstanding examples of the Renaissance Revival style. Other unique features include a balcony with a classical balustrade, granite Ionic columns, and a Baroque pediment. 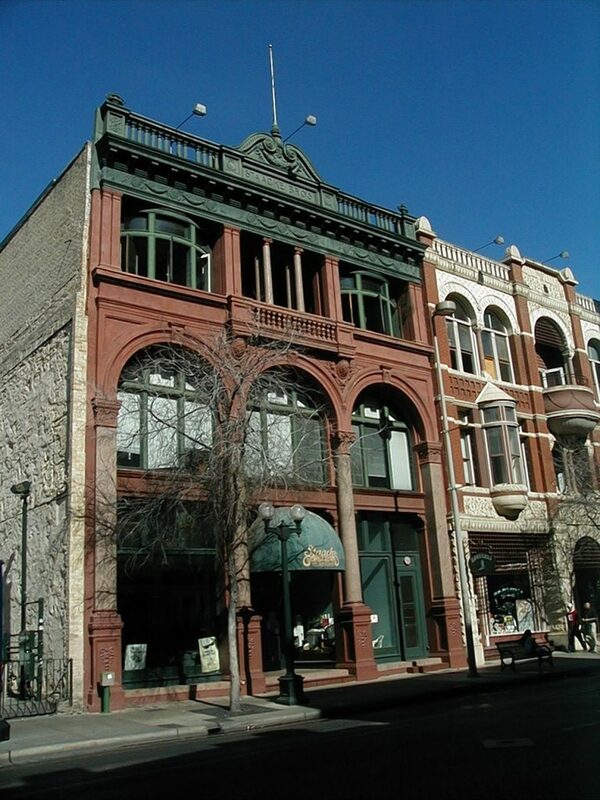 The San Antonio Conservation Society saved the front 97 feet of the Staacke Building from demolition by purchasing the property in 1979. The Society later sold the building to a group of local investors in January 1980. Along with the Stevens Building, the Staacke has been restored for adaptive use as retail and office space. Prominent San Antonio architect James Riely Gordon built the Stevens building for John James Stevens in 1891. The land at the East Commerce Street site belonged to Stevens’ wife, Bettie Thornton Stevens. Three years later, Gordon completed the adjacent Staacke Building. Stevens served as postmaster of San Antonio and played a prominent role in civic affairs. He was a charter member of the University Club, which had its headquarters and clubrooms in the Stevens Building. This three-story building is constructed of brick with granite detailing. Architectural elements from a variety of styles, including Romanesque and Queen Anne, give the building a flamboyant quality. The oriel windows are restorations based on historic photographs. 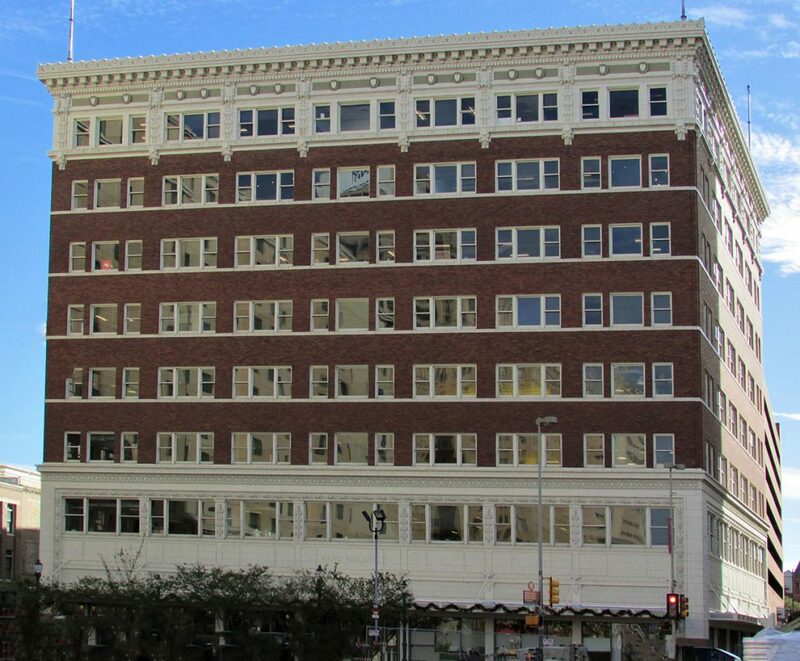 The San Antonio Conservation Society purchased the Stevens Building in 1979 to save it from demolition. The Society later sold the building to a group of local investors in May 1982. Along with the Staacke Building, the Stevens Building has been restored for adaptive use as retail and office space. 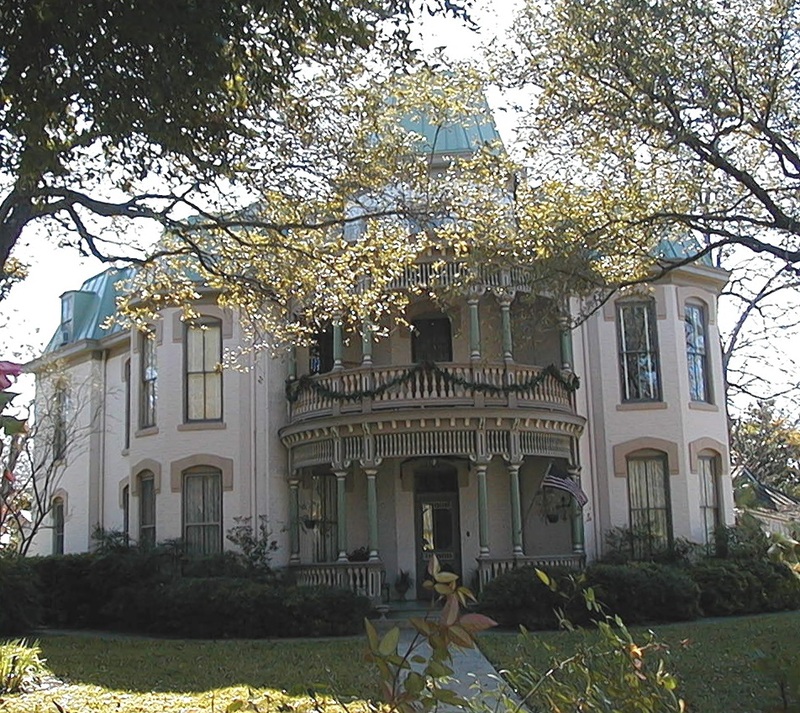 Mrs. Ike West, Sr. donated her Victorian home in the King William Historic District to the San Antonio Conservation Society in 1965. Her husband had acquired the house from his father, Sol West, who had purchased it in 1892. The house, with its mansard roof, circular galleries, iron roof cresting, and turret, was built between 1887 and 1888 for Smith M. Ellis. In 1973, the Society sold the property for use as a private residence. The Historic American Buildings Survey (HABS) documented the house in 1978.